If you're like me, and the "meat" of your classic rock music lies in late 60's, 70's, early 80's, tune into KSHE95 via your app on your streamer. I was using the TuneIn app last night on the Node 2i, and KSHE95 was hammering it. The sound quality was quite good, surprisingly. The one thing i really miss not living in St. Louis !! K-SHE 95 !! Same era that I love, Steve. Thanks for the tip. Thanks Steve, listening to it now. Cool. Thanks Steve. Locked in! 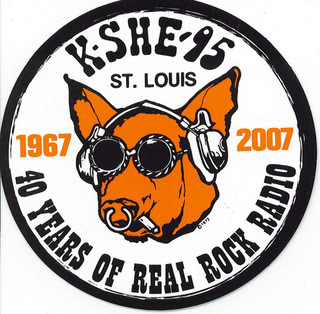 As a native Saint Louisan, I grew up on KSHE95. It was fun listening yesterday. Can't wait to put it back on tonight. Like a trip down memory lane. This may be a silly question, but do they stream all the commercials? Pretty dang good station. Thanks Steve. Used to rock KSHE all the time when I live in St. Louis!